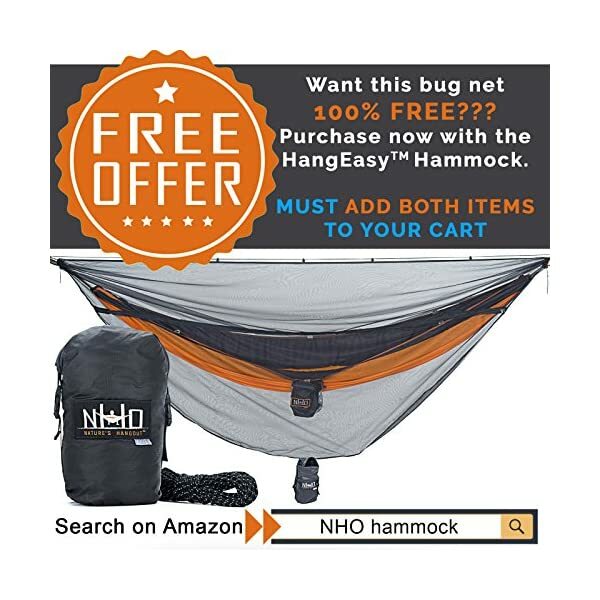 ✅ LIMITED TIME OFER – Get this BUG NET 100% FREE with a HangEasyTM Hammock purchase (Must add both items to cart) ✅ UNIQUE, EASY ACCESS: No gymnastics necessary to enter. 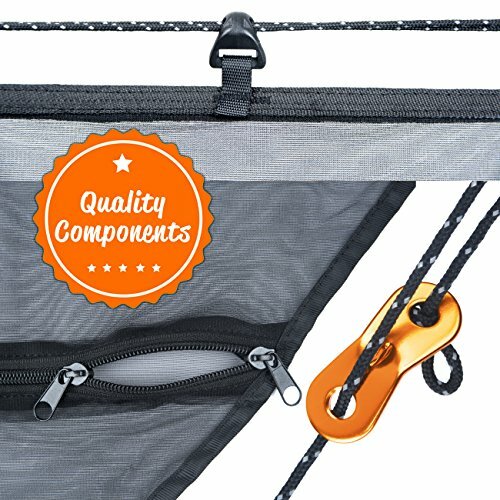 Dependable, double zipper opening extends entire length of the net for easy access. 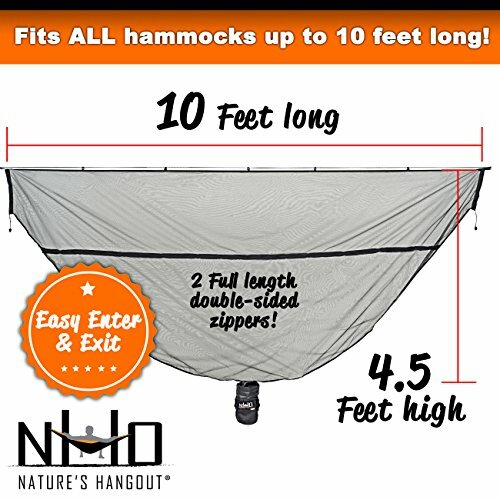 FITS MOST HAMMOCKS: Dimensions – 10′ x 4.5′ (unpacked) 5.75″ Diameter 7.5″ Tall (packed). 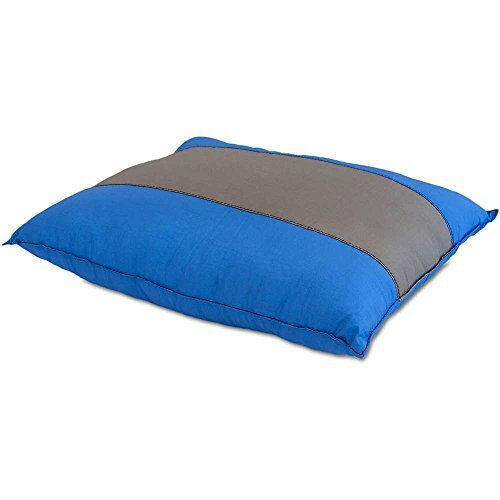 Big enough to sleep diagonally. 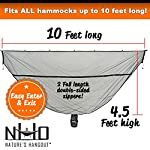 ✅ 360 DEGREE COVERAGE: Hammock enthusiasts, don’t let bugs bite through the back of your hammock! 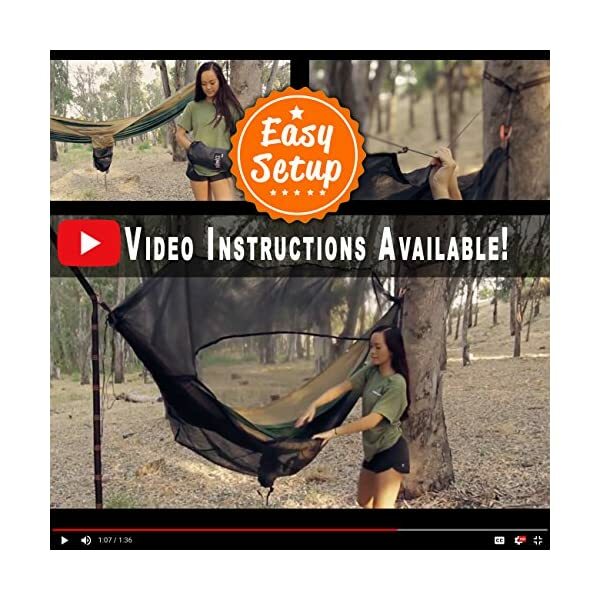 Hangout without worry, and enjoy itch-free adventures instead. 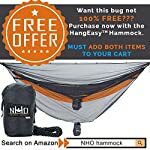 Best option for enjoying a double hammock with installed mosquito net. 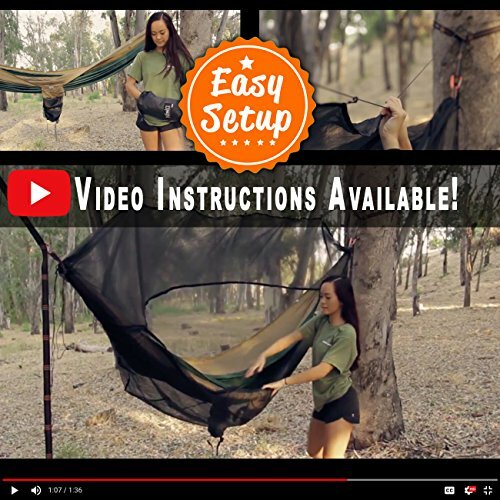 SUPERFINE NETTING: Guaranteed to keep out mosquitoes, ticks, no-see-ums, and a plethora of other insects. ✅ REFLECTIVE GUYLINE: Don’t catch your head on invisible ropes, day or night. 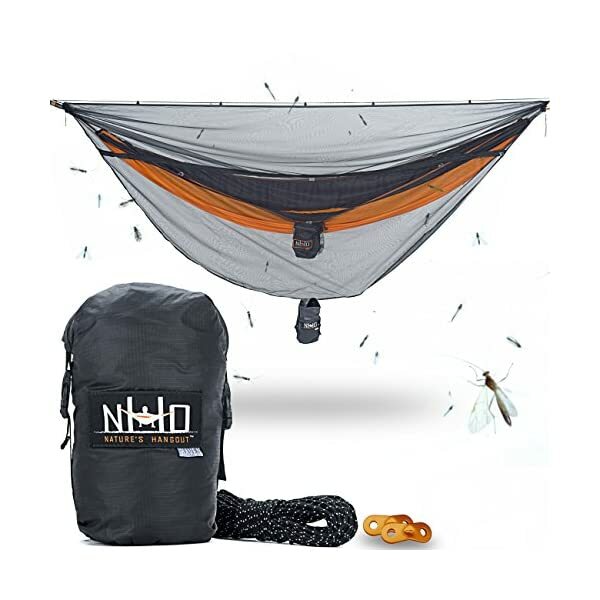 This double hammock mosquito net comes with 32 feet of reflective guyline. ALSO INCLUDES: two (2) guyline adjusters so you can quickly adjust tension in the ridgeline without having to learn complicated knots. A product to excite both the casual camper and the serious adventurer. 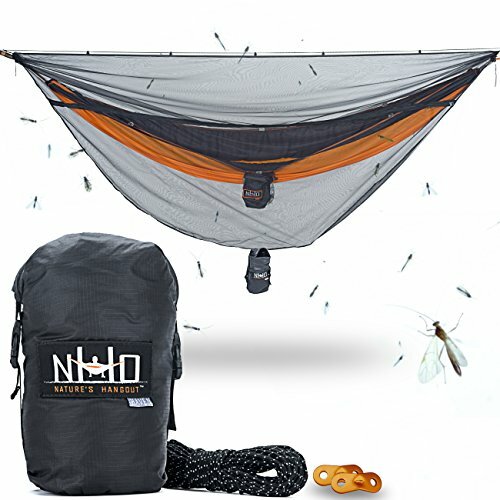 Our hammock bug and mosquito net provides 360 degrees of insect protection for hammock enthusiasts and comes with 32 feet of reflective guyline, so you will not catch your head on the rope at the hours of darkness. Its superfine netting is guaranteed to keep out mosquitoes, ticks, no-see-ums, and a plethora of other insects, or you get your money back. 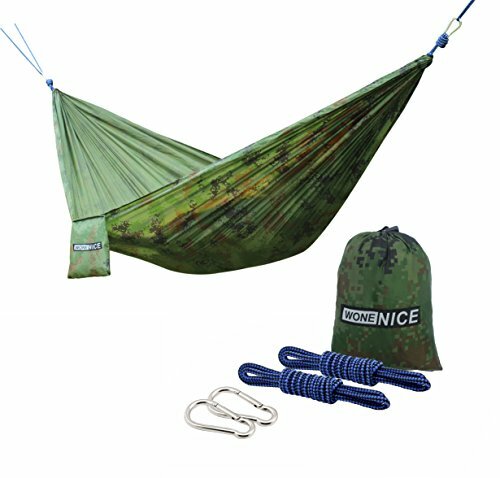 The hammock bug net fits most hammock systems and is large enough to cover double hammocks. 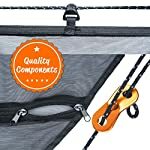 Durable zipper opening extends all of the length of the net for easy access, and is the most suitable option for entering a double hammock with an installed mosquito net. 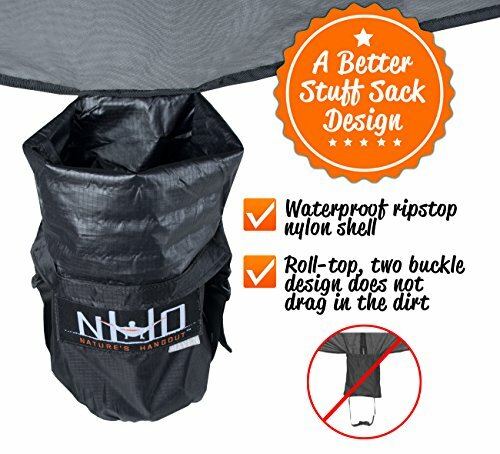 A waterproof compression stuff-sack is attached that has a 2-sided buckle design, which would possibly not drag in the dirt, and compacts to a backpack friendly, portable size, for your convenience. 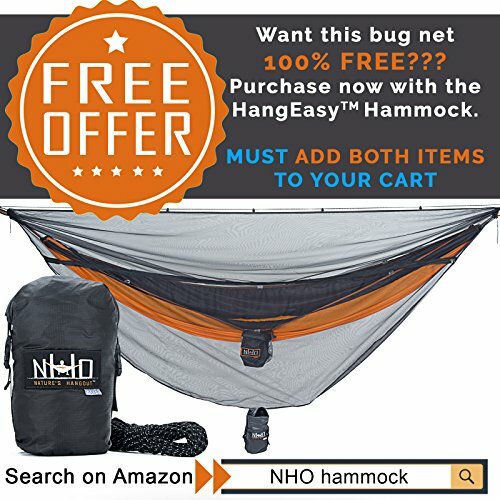 ✅ LIMITED TIME OFER – Get this BUG NET 100% FREE with a HangEasyTM Hammock purchase (Will have to add both items to cart) ✅ UNIQUE, EASY ACCESS: No gymnastics necessary to enter. 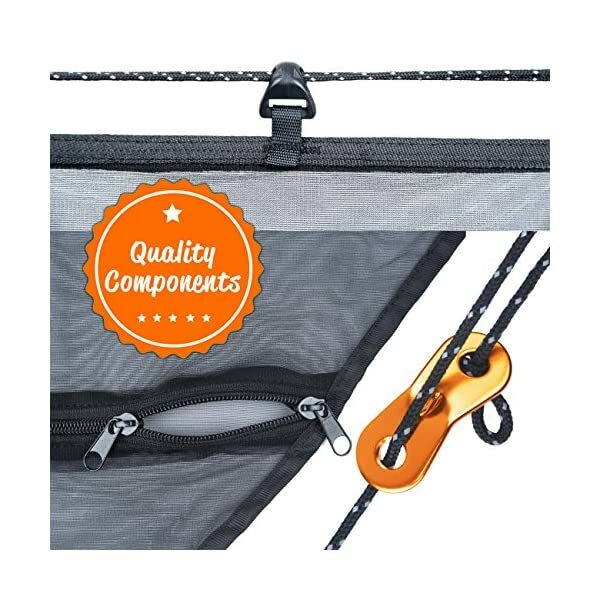 Dependable, double zipper opening extends entire length of the net for easy access. 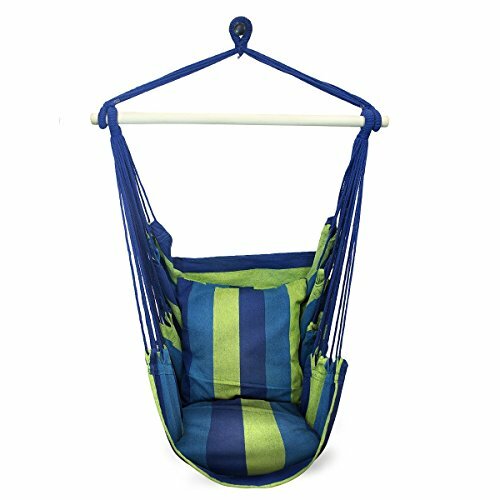 FITS MOST HAMMOCKS: Dimensions – 10′ x 4.5′ (unpacked) 5.75″ Diameter 7.5″ Tall (packed). Big enough to sleep diagonally. ✅ REFLECTIVE GUYLINE: Don’t catch your head on invisible ropes, day or night. 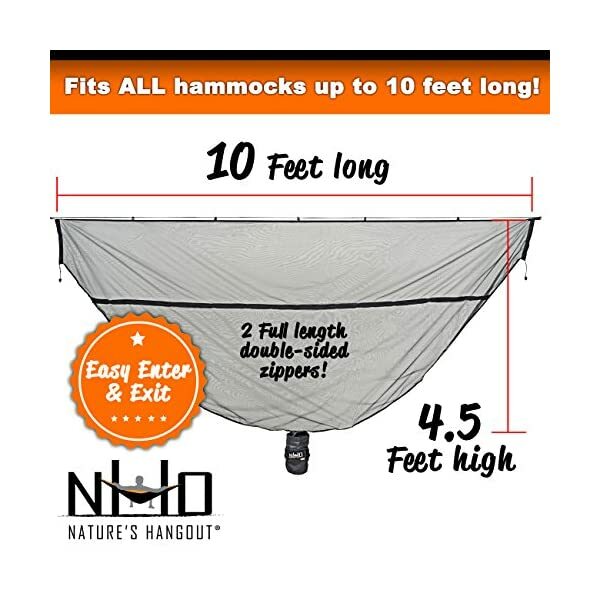 This double hammock mosquito net comes with 32 feet of reflective guyline. ALSO INCLUDES: two (2) guyline adjusters so you’ll be able to quickly adjust tension in the ridgeline without having to learn complicated knots. ✅ WON’T WEIGH YOU DOWN: Compacts to a backpack friendly, portable size for your convenience. 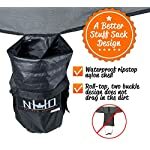 Has built-in ultralight, waterproof compression stuff-sack, with a 2-sided buckle design that would possibly not drag in the dirt even as you hang. 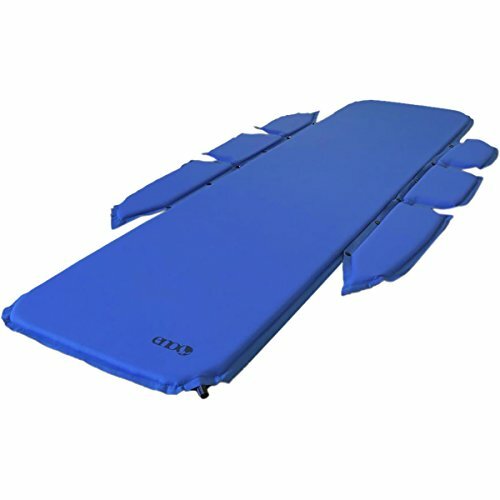 ✅ 100% MONEY BACK GUARANTEE: You are secure by a lifetime, no-questions asked, money back guarantee, at the side of world class customer service!